Capsule Wardrobe Project - Part 2: Results! When I decided to try out the Capsule Wardrobe trend, I’ll admit I wasn’t completely sure about the process. • All I knew was I needed to get a grip on my clothing situation to declutter my life. I completely underestimated the entire thing. I may have shed a tear (or twenty) as I stood before my busting-at-the-seams closet, trying to decide what to keep and what to let go. At first, it was... okay. • Sweaters I hadn’t worn in years because I live on the surface of the sun – gone! • Dresses that are too short, or tight, or flashy – bye! • But as the hangers were emptied, and I was faced with items I am emotionally tied to, the tears came. Even writing this now, I feel the emotions surfacing for some threads and fabric that were a part of a great date, or fun night with friends. Even though I don’t wear them, it was hard to let them out of my life. I forged on and allowed myself to feel the sadness, knowing that once I let go of the excess I would feel better. • and tops that are interchangeable. I am still in the process of narrowing down the exact final selection, but I am really REALLY close! Items that I am letting go of are being sold, given to friends or donated so they can be a part of someone else’s great memories. My goal was to keep around 30 key pieces that would work in my life for the next few months. • Right now, I am just over that goal number, but I am proud that I finally let go of my massive, overcrowded, stress causing wardrobe. 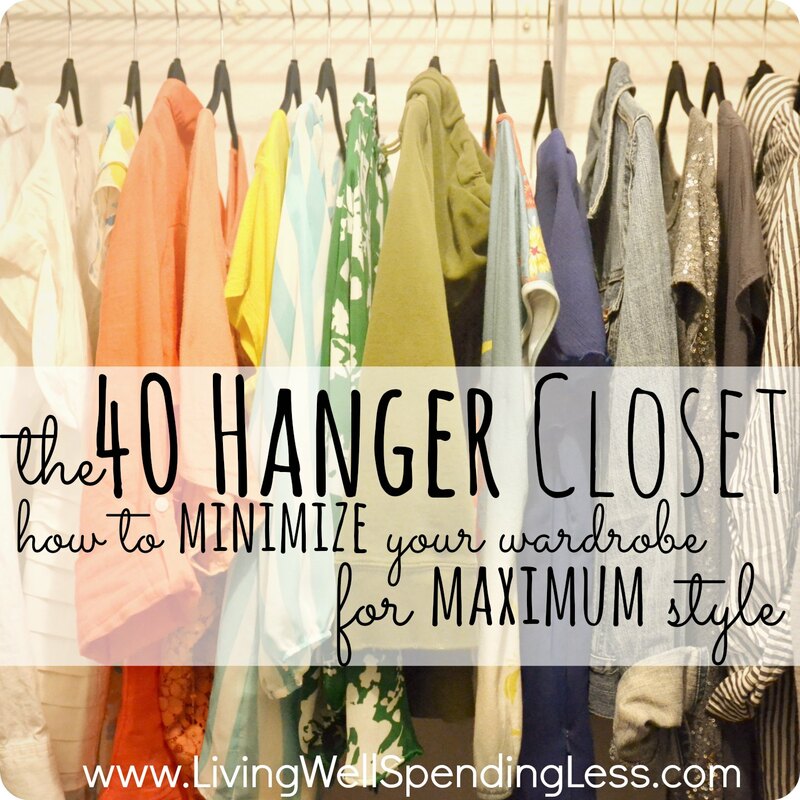 As styles change, I will swap out an item here or there, but my overall goal is to keep my closet in check. amazed at how tied we can get to an object in our lives. I am very blessed to have people in my life that help me make wonderful memories, and I am going to focus on that, rather than the stuff I have. Clutter, and stress, and excess are unnecessary and pretty unhealthy and I am looking forward to my life of less. And I won’t miss doing a million loads of laundry now that I only own 30 articles of clothing! Would you ever downsize your wardrobe in the pursuit of happiness?